Are we all waiting too long to "find" happiness? I often find myself thinking, “when I get to that dream position, I’ll feel successful,” “when I accomplish this feat, my friends will be proud of me," or “when I achieve this goal, I’ll be happy.” The idea that our happiness depends on a future version of ourselves is dangerous. Fixating on everything we’ll have down the road (career wise and beyond) and how it will impact our emotions removes us from the present and puts us into a state of perpetual waiting. Being 24, I’m still pretty new to the career pool. I haven’t established myself as an influential professional in the community nor have I climbed to the top of the company totem pole. I have, however, a great job that pushes me every day, fuels my growth as a professional and provides me with ample opportunities to learn. Beyond that, I am surrounded by a supportive and engaging community. I should be bursting with happiness and feelings of accomplishment. So why do I still fall into this waiting trap? Millennials are job hopping more than any other generation in history. Could this be a direct result of us depending upon the future for happiness? That maybe the next job will be the answer? While this may be partially true, I think the other half of the problem stems from our rigid definition of success and our beliefs as a society that it has a direct correlation to happiness. “Success [and happiness] have become synonymous with financial wealth, influence, and status,” stated Guy Raz, host of NPR’s Ted Radio Hour. In reality, the value of wealth, influence and status can be a piece of the happiness pie, but it doesn’t complete the whole. Success simply means “doing something well." If we applied this definition to every aspect of our life, success could mean a myriad of things—a positive interaction with a coworker, waking up early to meditate, finishing a tough workout, going into a state of flow to obtain personal growth, achieving small goals throughout the workday, spending quality time with loved ones or engaging in a new hobby. When we expand our view of what success means at every stage of life, we’re open to a whole new realm of happiness. 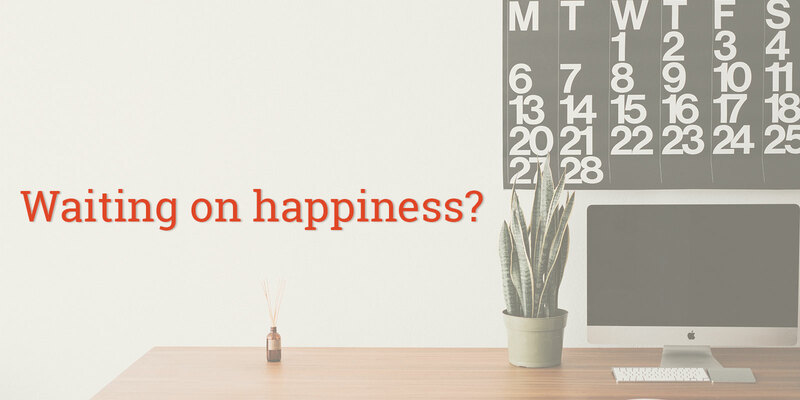 When you keep the above definition in mind, achieving happiness outside of work is actually fairly simple; our time is more in our control and depends on our actions. But how can we take this to the workplace? 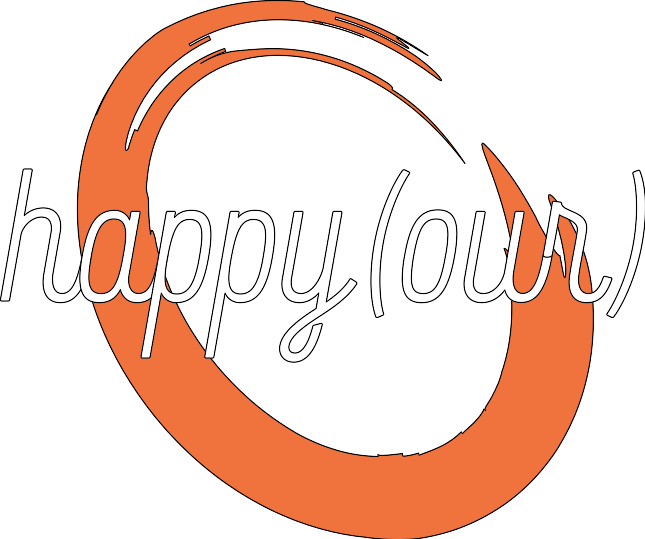 How can we stop waiting, and instead make “happy” happen right now, in our everyday work? We can be more intentional. This can be in regards to our attitude, the way we execute our work, interact with others and how we view our own success. For me, achieving happiness in the workplace is recognizing a job well done (for myself and others), finishing a project, helping my fellow coworkers accomplish a task, assisting a customer, making someone smile and walking out the door at the end of the day feeling at least a smidgen of success. Productivity Timers: It’s easy to let your workload get overwhelming. To help break up the day into digestible chunks, think about using a timer. I talk about my favorite timer apps here. Quotes: As cheesy as it sounds, an inspirational quote on your desk or computer background can be a huge a game changer. A few of my favorites (and current backgrounds) are.. Goals: Use measurable, specific and action-oriented goals to keep you motivated. Write them down, share them with a coworker or check in with your mentor. This keeps you accountable and on track. Finding happiness at work isn’t always easy. Sometimes it takes a change in attitude, a little inspiration and an upbeat tune to get you started.